My name is Mary Catt. I’m so happy, for being here today, as a guest designer, in this amazingly talented team and with the most beautiful papers. Well, before I start, let me introduce my self… I live in beautiful Greece with my awesome husband and our three wonderful children. I work full time as a secretary in a private secondary education school. 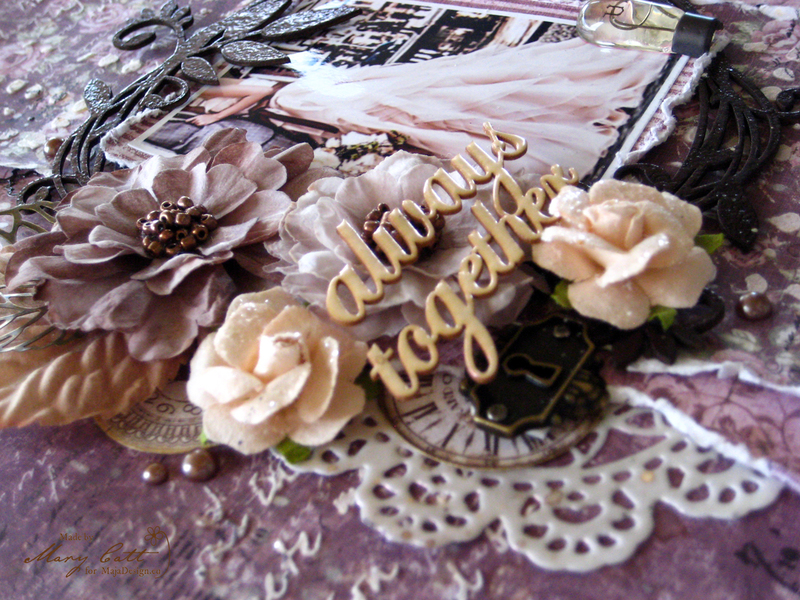 I met scrapbooking two years ago and since then I became an obsessed scraper… oh yes, I’m addicted to it, what can I do? I still consider myself as a beginner and I’m always trying to improve my skills. 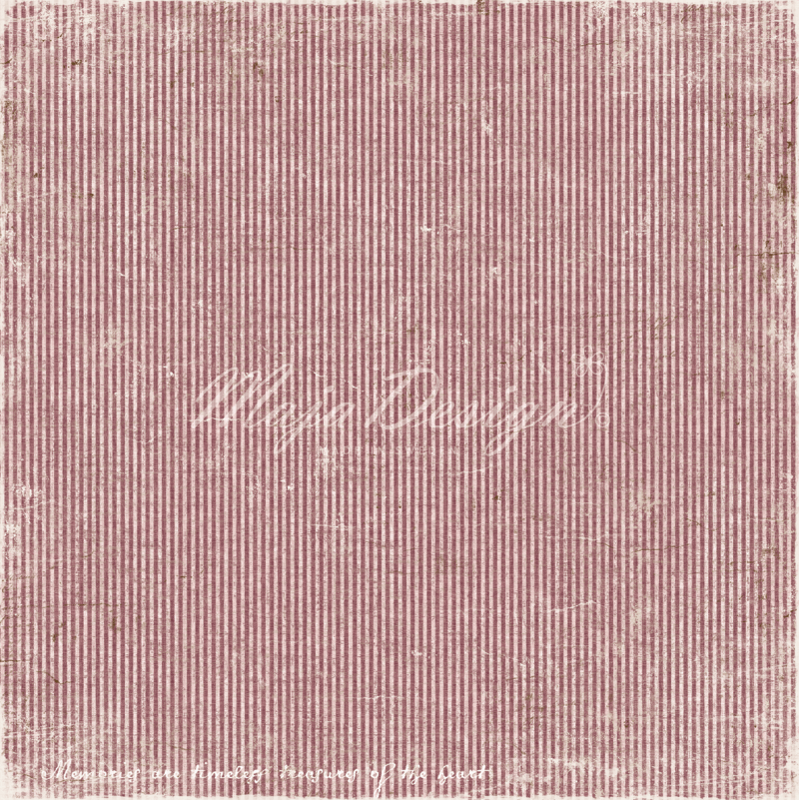 I mostly do layouts but I love design tags, cards, mini albums, canvases and altered items as well. 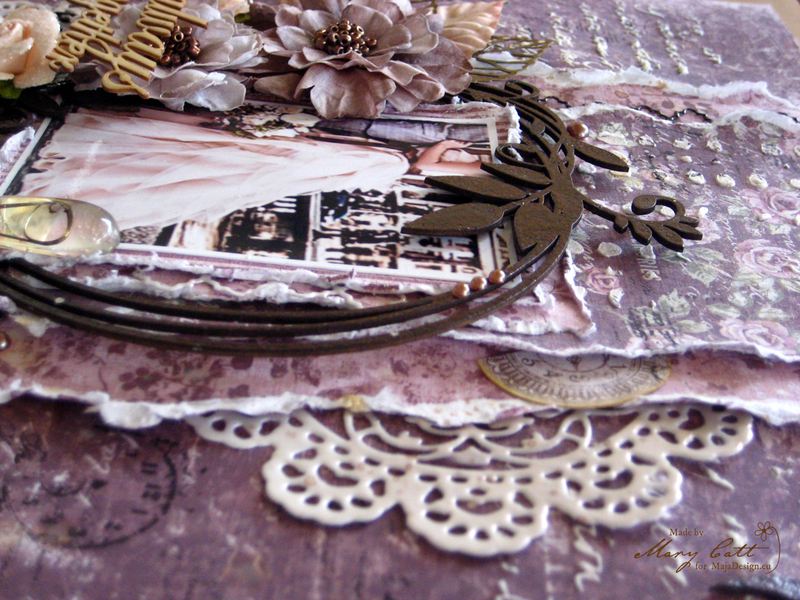 My style is mixed media, with a little vintage and some shabby chic touches. 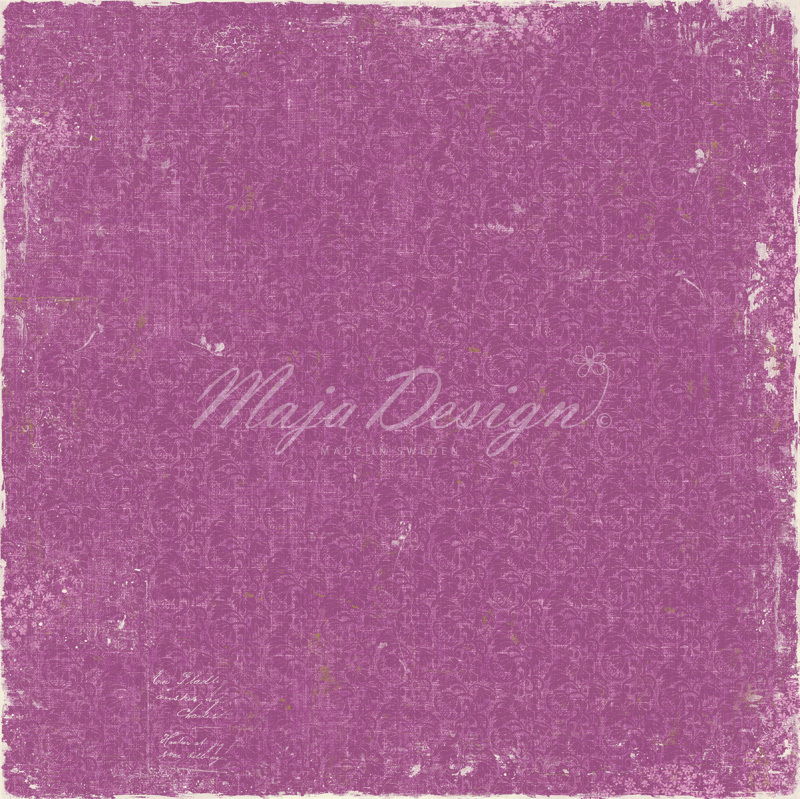 I love working with Maja Desing papers. They are so chic and elegance! 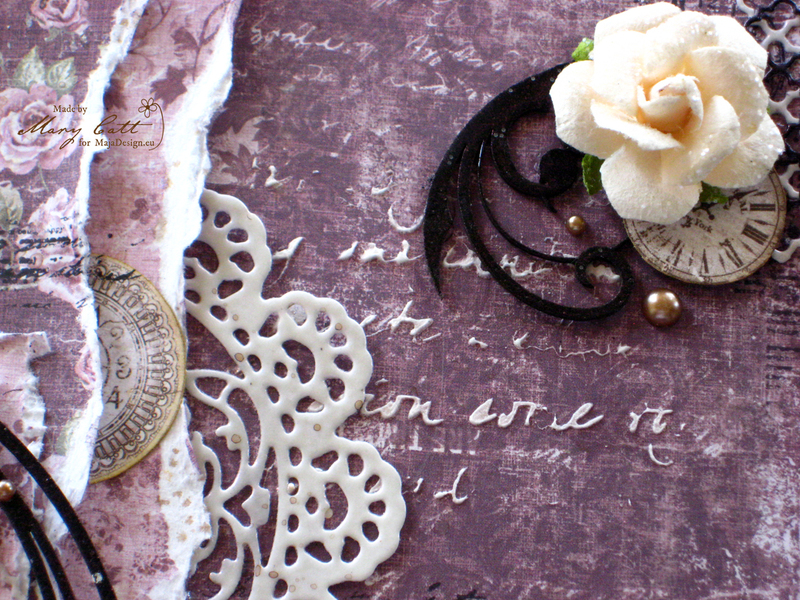 I also love using my stencils, pastes and mists. 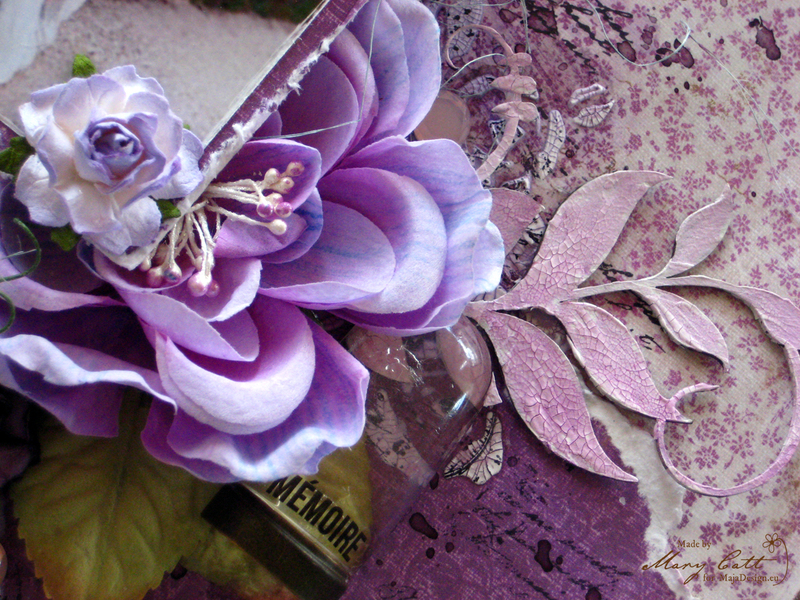 Flowers and embellishments are always present in my projects. 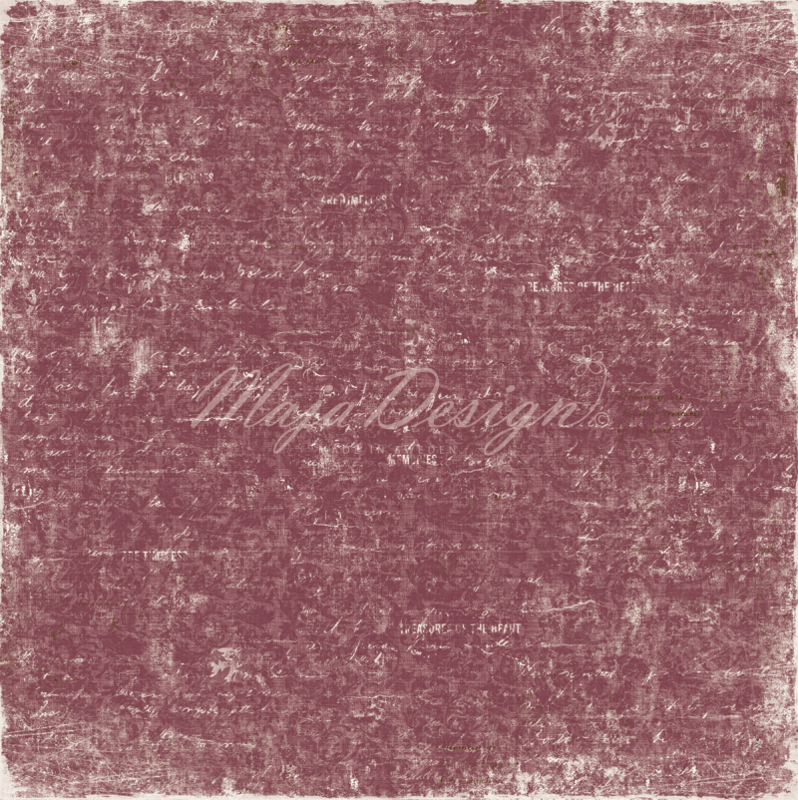 I’m so excited to share with you, two layouts, I made with these beautiful papers! 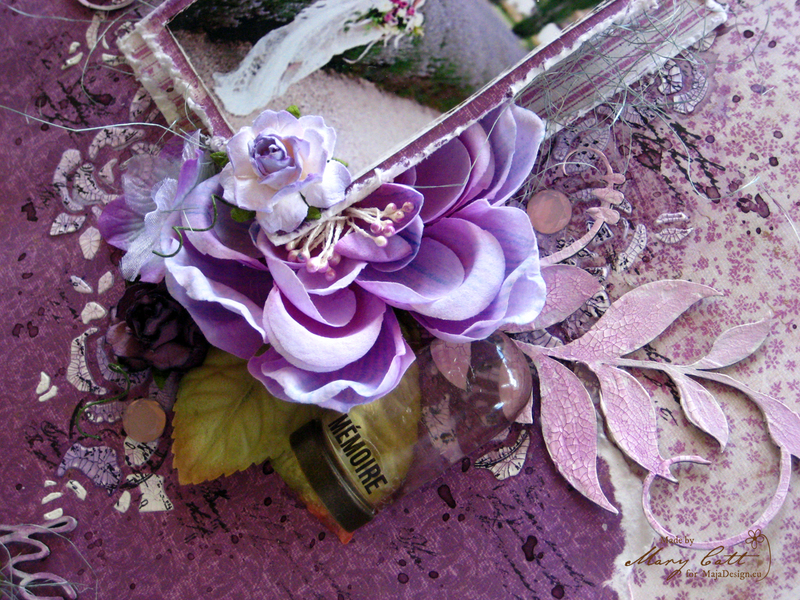 For the first one, I used the ‘’Colorful’’ and the ‘’Picking Flowers’’ papers, from the ‘’Enjoying Outdoors’’ Collection. I tore the ‘’Colorful’’ paper in half and glued it, in the lower half of the other paper. I love the vintage feel the torn papers are giving. 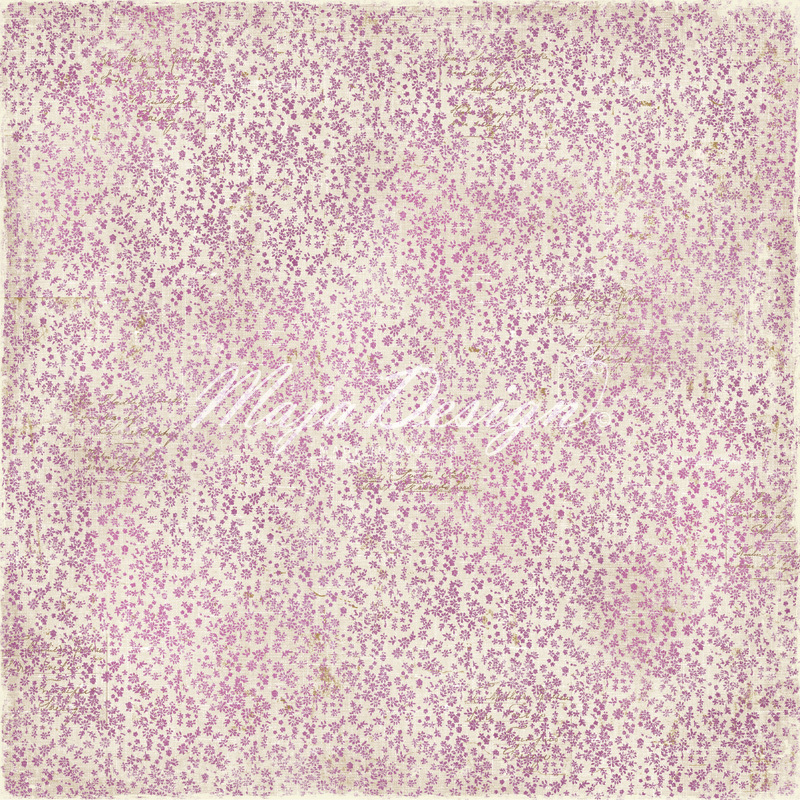 To design my background I used Finnabair white crackle paste with a floral stencil. 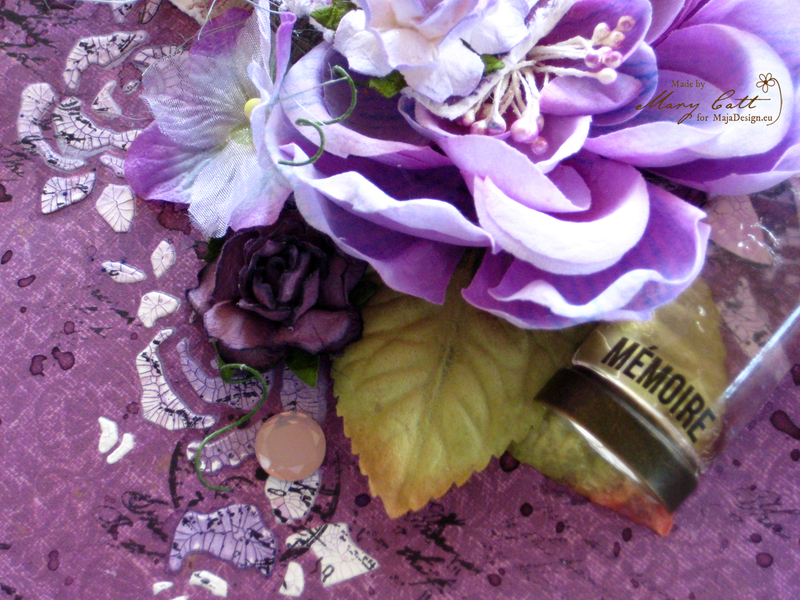 When it was dried I added the ‘’Open Arms Amethyst’’ and ‘’Tea Pot Purple’’ Lindy’s Stamp Gang mists. Then it was the time for some stamping. 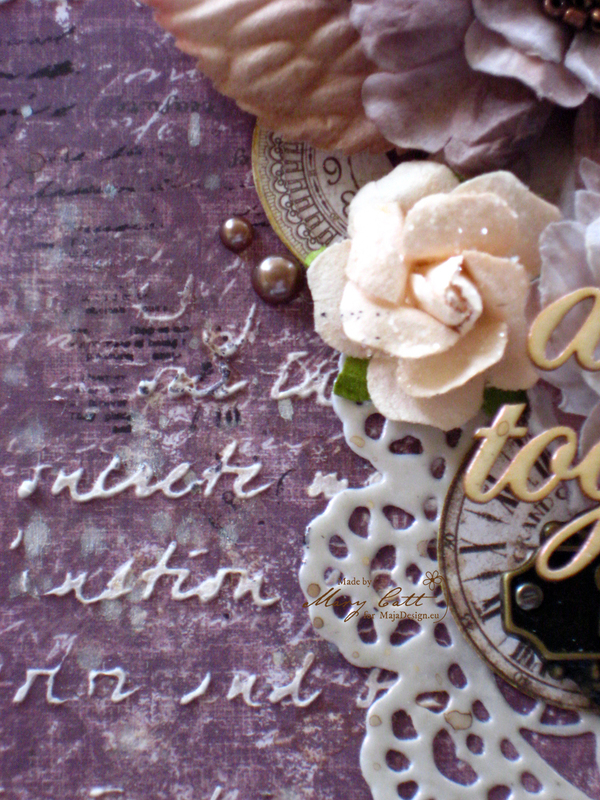 My ‘’2Crafty’’ flourish chipboards were covered at first with white crackle paste and then I colored them with ‘’Seedless Preserves’’ Distress ink. The title was primed with gesso and also colored with the same ink. 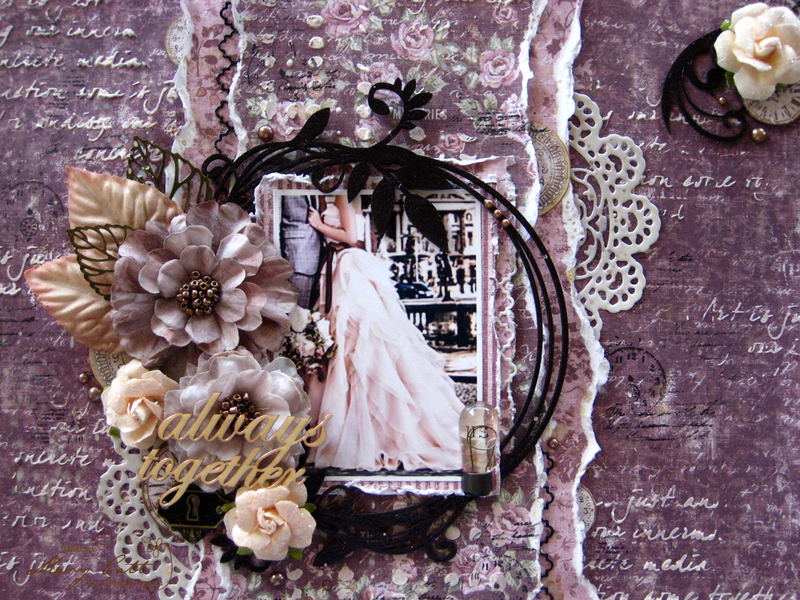 I added my floral clusters and my favorite Prima die cut doily mixing with a little sisal. A final touch with some splatters and some Prima crystals here and there and my page was ready. 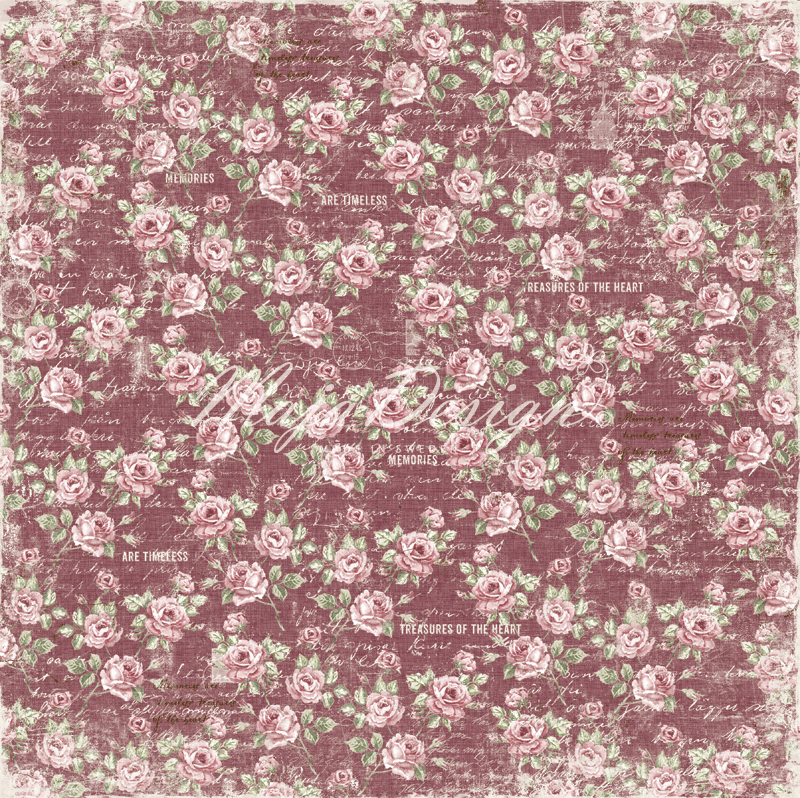 Now, for the second layout I used the ‘’Vintage Autumn Basics’’ Collection and the No. IV, No. V, No. 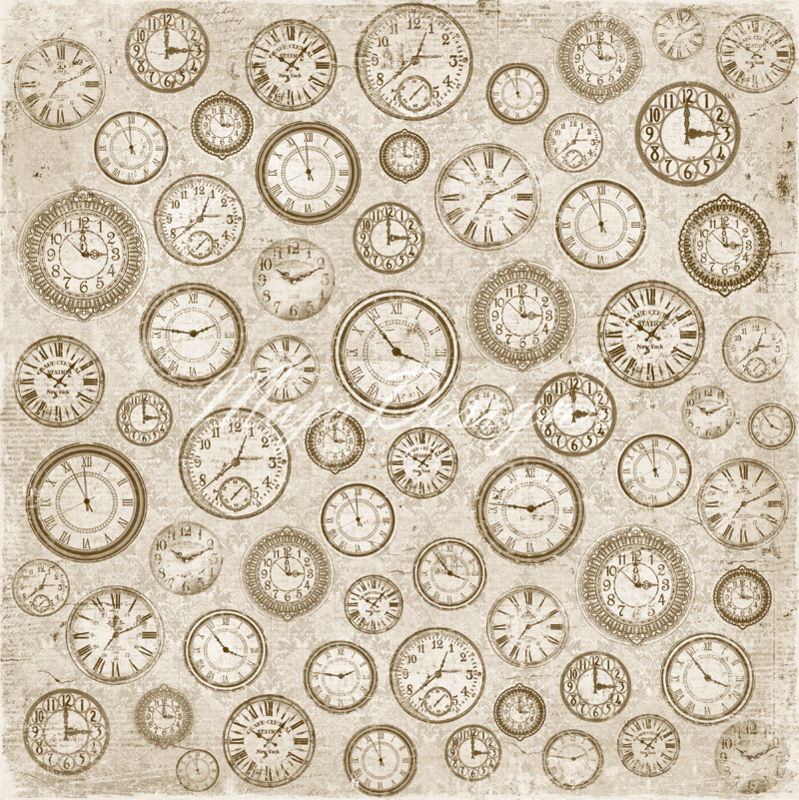 VI and No.XVI papers. In the center of my paper I glued down two torn strips of paper one against the other. Then I mixed Finnabair Light Paste with Peach Opal Mica powder and applied with two different stencils. 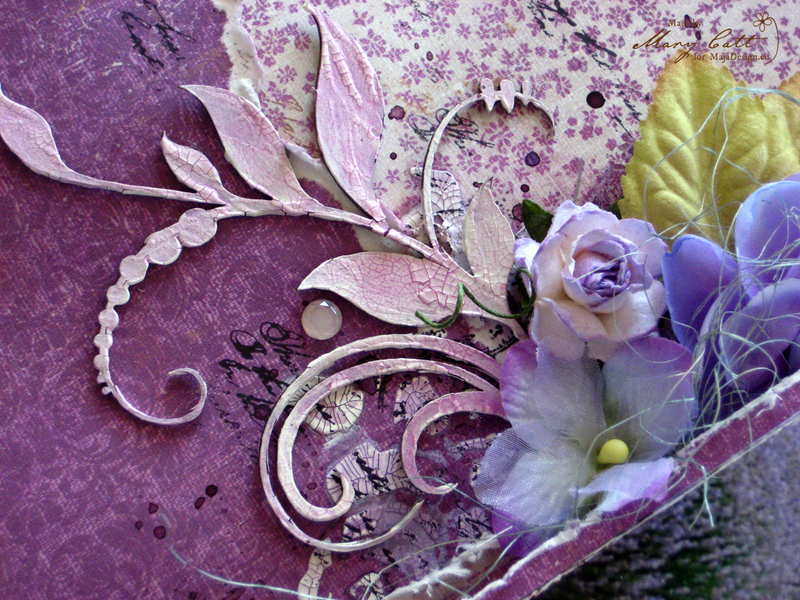 I heat embossed my chipboards and die cuts with Lindy’s Stamp Gang embossing powders ”Midnight Ruby” and ”Angel Wings Ruby”. 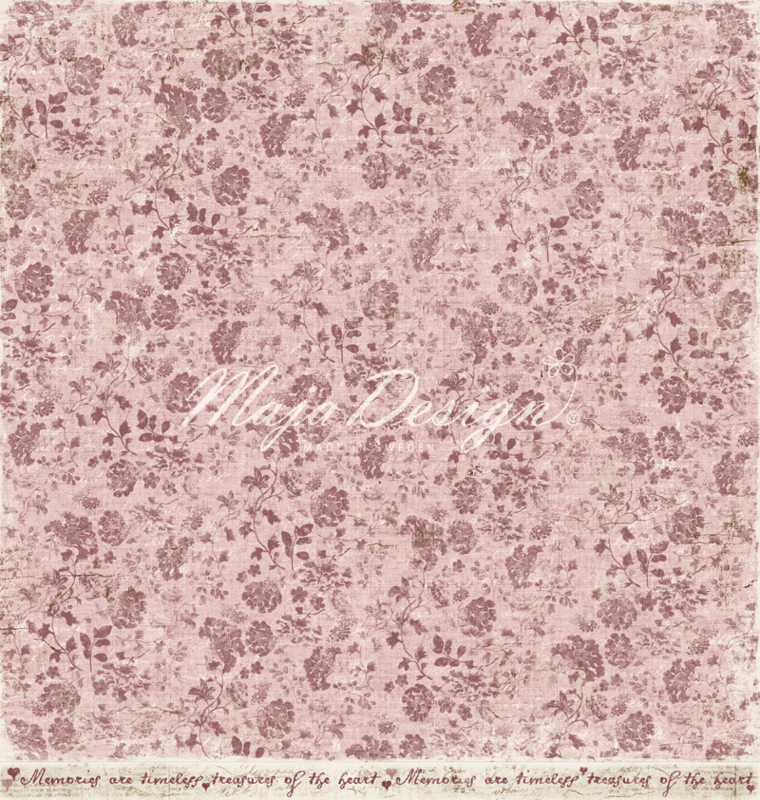 Then I made some random stamping. 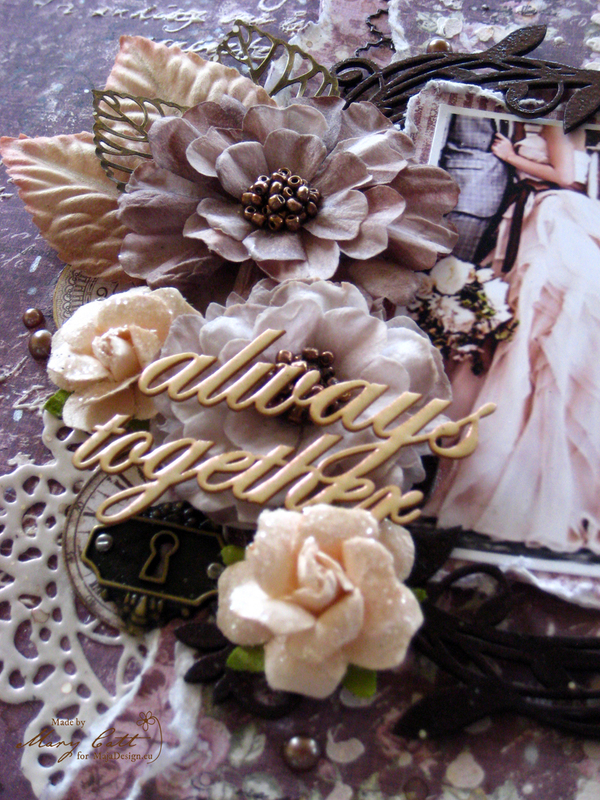 I added a big floral cluster on the one side of my round chipboard and placed my embellishments. 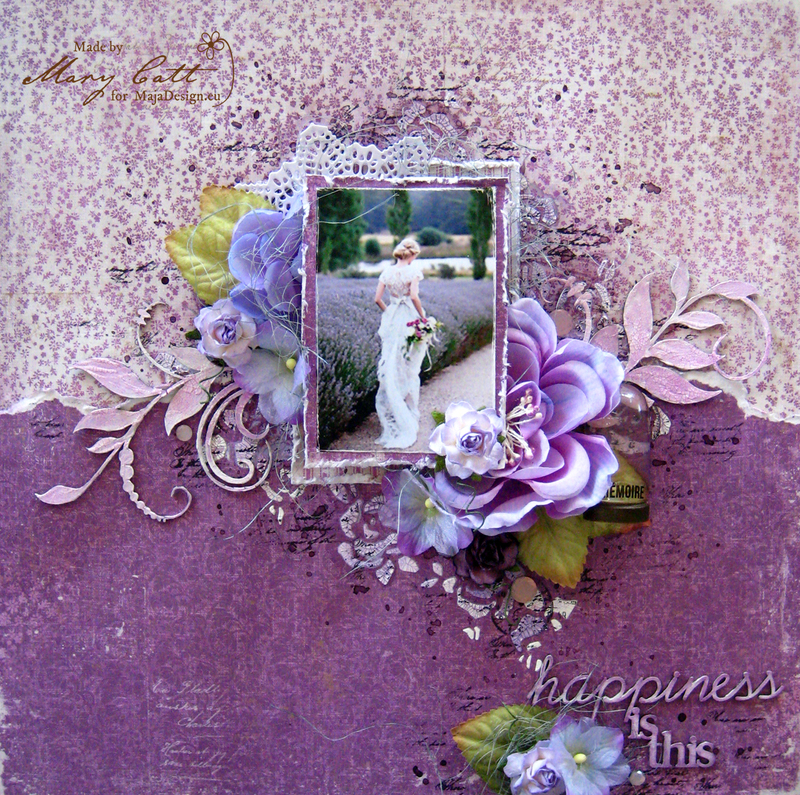 To finish my layout I made some splashes with ”Clam Bake Beige” Lindy’s mist and glued some pearls. Camilla, thank you so much, for inviting me as a guest designer!!! It’s been a real pleasure for me!!! They are both beautiful but the first one is my favorite! Gorgeous!